Often worn to keep warm during the coldest months, fur coats were a staple worn by the masses; paired with both traditional Russian clothing and the western European styles. На шубах у подъезда спят» (1, XXII, 14). Still sleeps on furs at carriage door” (Chapter 1, Stanza 22, Page 14). 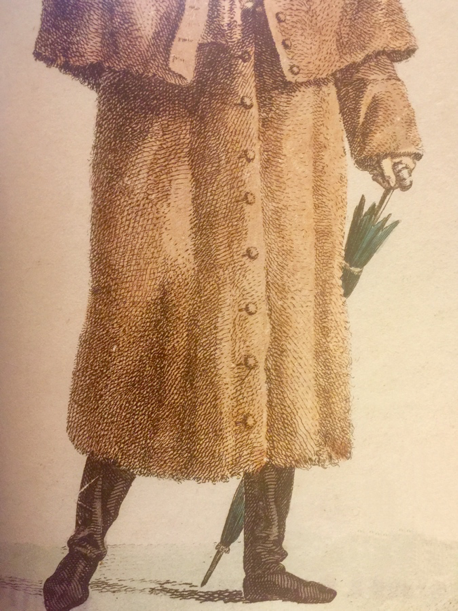 Elizabeth LaFave, “Fur Coats: Шуба ,” Collections @ ECU, accessed April 22, 2019, http://collections.ecu.edu/items/show/621.